The Implications of Coming "Peak Copper" for America – and the World! So says Dr. Stephen Leeb (www.leeb.com) in edited excerpts from his original article*. Lorimer Wilson, editor of www.munKNEE.com (Your Key to Making Money! ), has further edited ([ ]), abridged (…) and reformatted (sub-titles and bold emphases) the article below for the sake of clarity and brevity to ensure a fast and easy read. The author’s views and conclusions are unaltered and no personal comments have been included to maintain the integrity of the original article. Please note that this paragraph must be included in any article re-posting to avoid copyright infringement. Copper prices may be ‘unimaginably’ high in 3 years with China growth spurring consumption. This is a truly frightening statement…Indeed, in terms of probable or potential scarcity, I think copper may even surpass rare earth elements, oil and many other commodities. Copper grades, i.e., the amount of copper you get from every ton of ore mined, as well as grades for almost every other base metal and precious metals such as gold and silver, look like a scary playground slide. They continue to fall, and fall dramatically quickly. A so-called “unimaginably high” price for copper would imply unimaginably high prices for our electric grid, building homes, and perhaps for drilling oil. 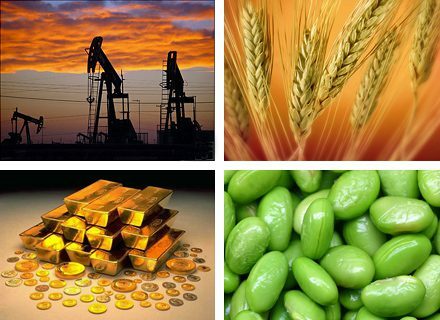 Clearly other commodities would become ever scarcer, in a vicious circle to end all vicious circles. Sign up here to begin receiving a copy of our Financial Intelligence Report tomorrow. We know that China doesn’t believe in such a solution…because, while we’re fighting a shooting war in Afghanistan, China is spending comparable amounts of money in the same place – mining copper. Indeed, China seems desperate to get all the copper it possibly can…to ensure their standard of living into the next decade and beyond. The real war here is an economic war. It’s the war China is fighting to assure that its civilization continues, and it should be the one we’re fighting to save our own civilization. I use the word ‘war’ because I think it transcends political distinctions. Once it is recognized as a war, presumably liberals, conservatives, and even most libertarians (i.e., those who allow for at least some legitimate role for government) can come together. We are being attacked – at least implicitly – as our standard of living is under attack. Fighting this war should be the biggest and most important priority we have. To say more, China is not only spending tons of money in Afghanistan, but whatever they’re spending there is merely a drop in the proverbial bucket, as they will be spending 2 ½ trillion dollars between now and 2015 to find, acquire and process commodities. That’s a comparable amount to what the U.S. spent during the Second World War. I recall giving a keynote address at a J.P. Morgan energy conference earlier this year. The audience consisted of extremely knowledgeable utility executives, presidents, financial officers, etc. I asked them “How many of you consider copper to be a potentially scarce metal?” Not one of them answered affirmatively. copper stocks stand out. The best of the major copper companies is clearly Freeport-McMoRan (FCX) and for those of you who want to swing for a home run, we continue to like NovaGold (NG). Neither of these stocks, despite the longer term prospects for profound copper scarcity, is going to be for the faint of heart. Freeport, I think, could trade as low as $10 and as high as $150 and over; NovaGold, perhaps could move between $4 to $50 or more. As far as gold and silver stocks go, my recommendations remain the same: Goldcorp (GG), SPDR Gold Shares (GLD), iShares Silver Trust (SLV) and Barrick Gold (ABX), which incidentally bought a huge copper mine recently, and by virtue of infrastructure built by China it will almost certainly ship its entire product to that country. And again, NovaGold (NG), which in addition to a massive copper deposit also has a massive gold deposit. Next What Happens to Oil Prices if Israel Bombs Iranian Nuclear Facilities?